Something different is always welcome to Darwin - I think we're a pretty game bunch of guys, right?! 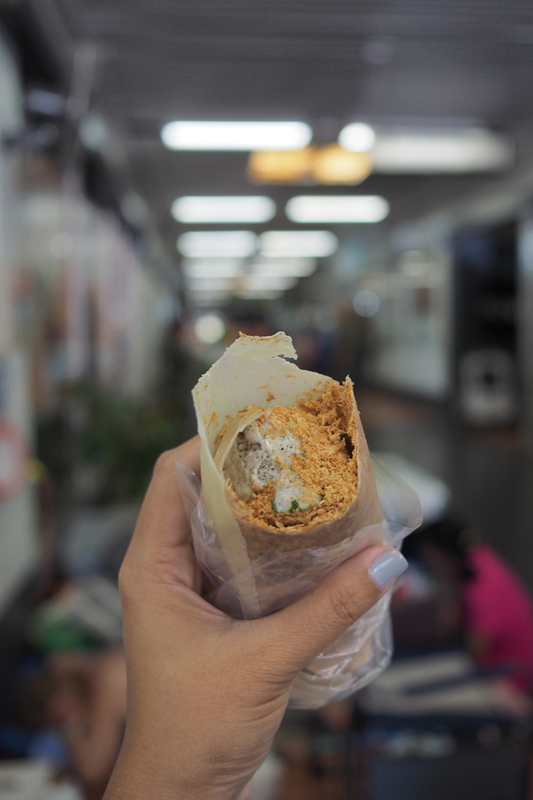 Cue the peanut ice cream popiah. An all-time favourite in Taiwan and found at the night markets by the hordes. 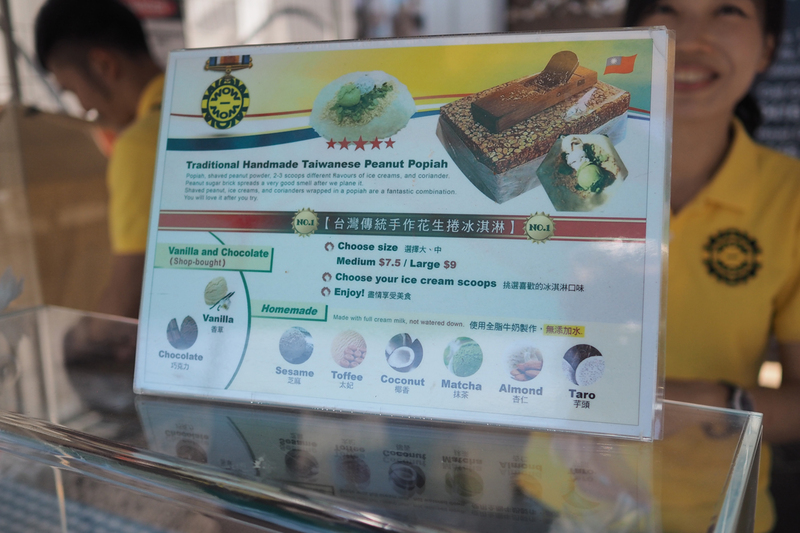 So what makes peanut ice cream popiah? 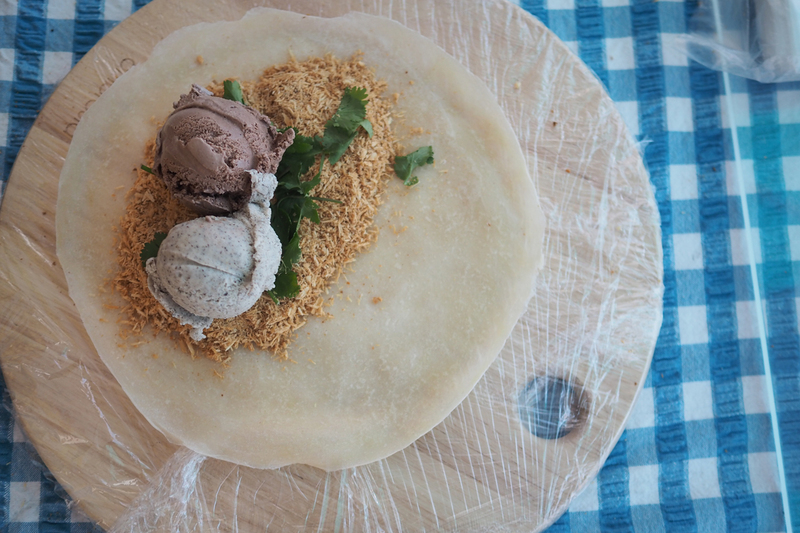 The popiah, pronounced (poh-pyaaa), is a flour crepe that holds the goodness in. In Asia you can find a lot of savoury popiah filled with chilli and braised white radish. Super yummy. 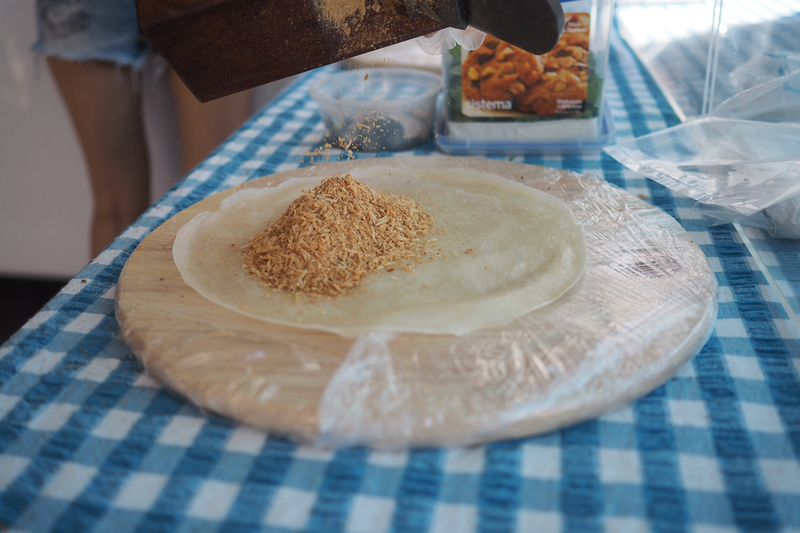 A good popiah skin is a paper thin but strong enough to keep the fillings in without breaking or tearing. 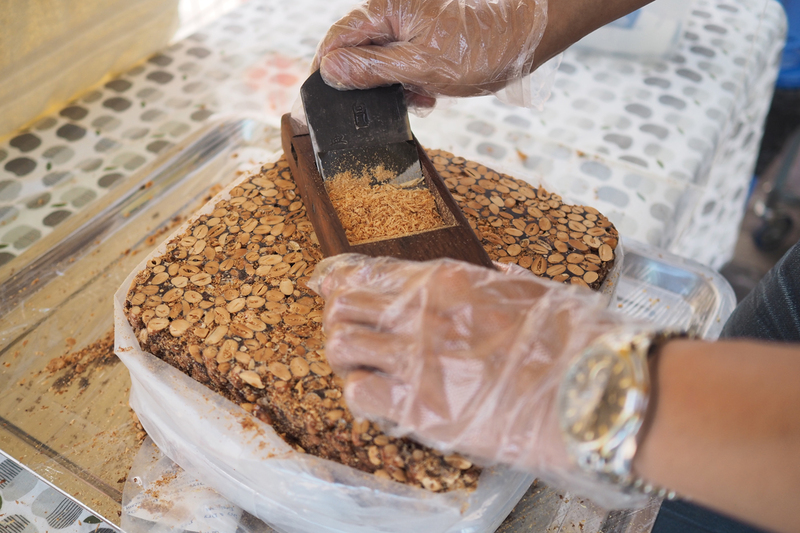 Linda and her partner makes their peanut candy blocks themselves. The peanuts are first roasted, then added to the sugar malt syurp to cook for a few hours, then left to set. In Taiwan these peanut block come in 25 kilo blocks! 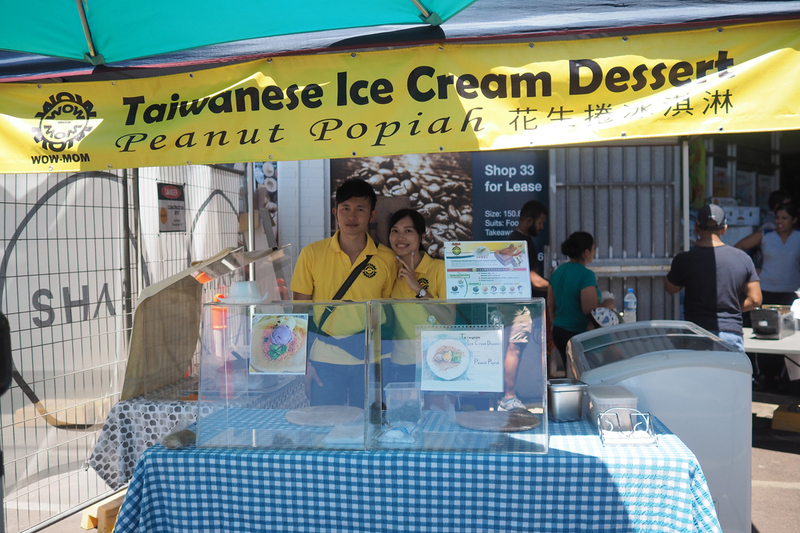 As if that isn’t enough hard work making the peanut block… Wow Mom also make their own ice creams. Home made with full cream milk in 6 different flavours - seasame, toffee, coconut, matcha, almond and taro. Very asian flavours indeed! Chocolate and vanilla is not home made, so I decided to pick one of each to see the difference. Ummm, yes. There's a good amount of corriander in the popiah. I can hear some people screaming in the distance. There’s a skill in wrapping the popiah as well. 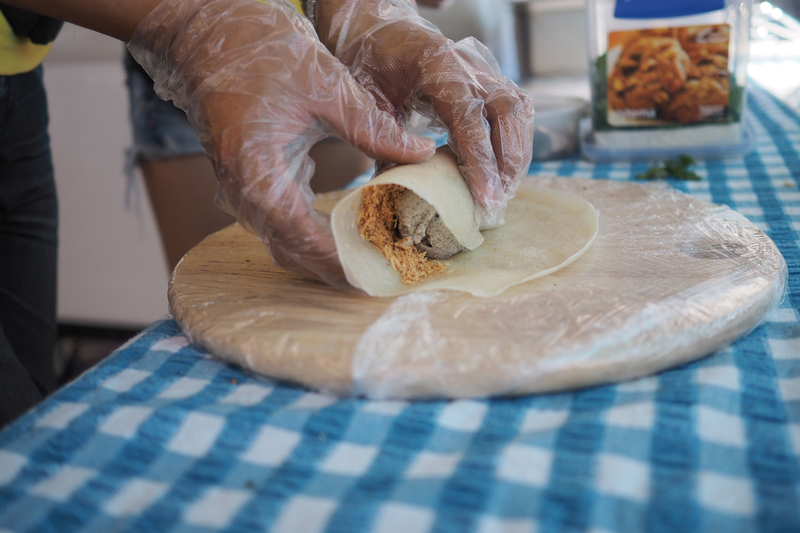 There’s a fine balance to how the popiah is filled too – underfill it and you get too much popiah skin at the folded ends, overfill it and you can’t roll it well. #burritologic applies. 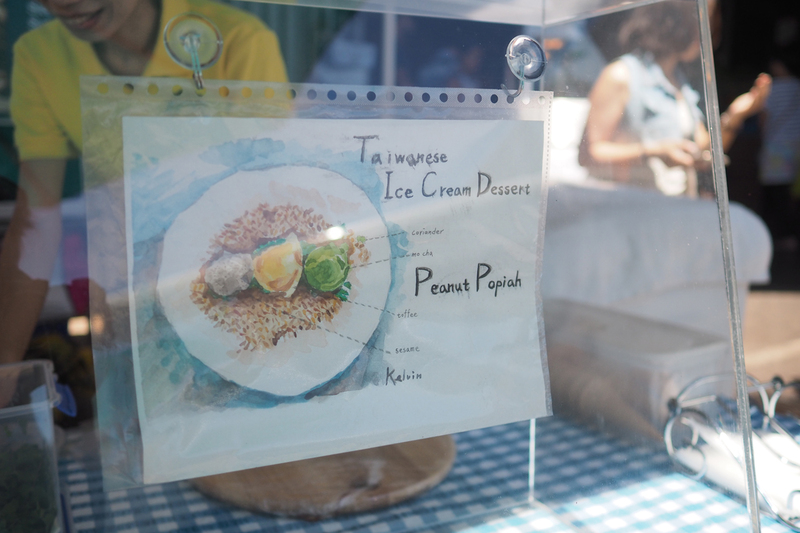 The peanut snow was fantastic - it isn't overly sweet and there is a good roasted flavour to it. The serve of the magic floss is generous and well and truly envelopes the ice cream. Which brings me to the ice cream. The homemade sesame was GREAT! 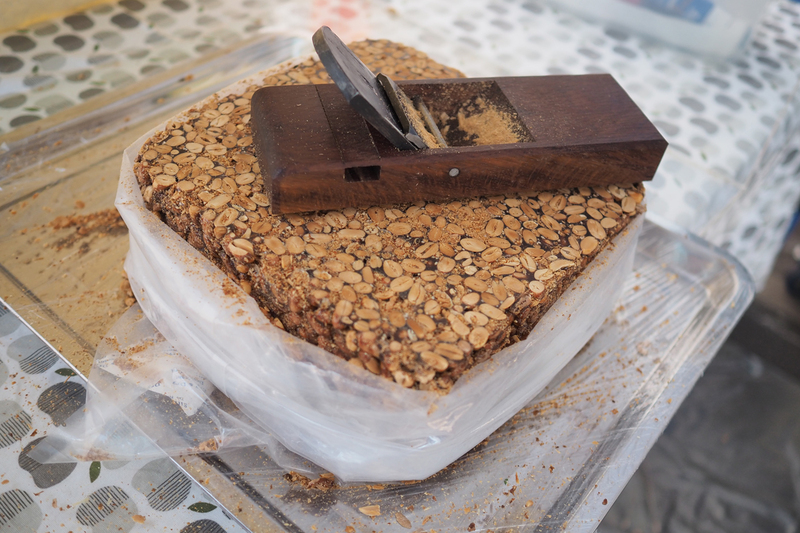 The sesame flavour wasn’t overpowering and the texture was silky smooth to the tongue. There is a good amount of fatty cream flavour in the ice cream as well which works with the sweet peanut shaving. The chocolate ice cream on the other hand didn’t taste chocolately at all. It was almost like milo blended into the ice cream, which isn’t a bad thing either. The corriander cuts through the sweetness and and gives it a mild herbal bite. You should try it at least once! The only thing I didn’t quite like was the popiah skin – it was a little dry and a little difficult to bite through at the bottom, but it was already the end of the day so the popiah fresh would be heaps better. Price wise it's $7.50 for a two scoop roll, and $9 for a three scoop roll... which is basically how much you already spend on regular ice cream anyway. 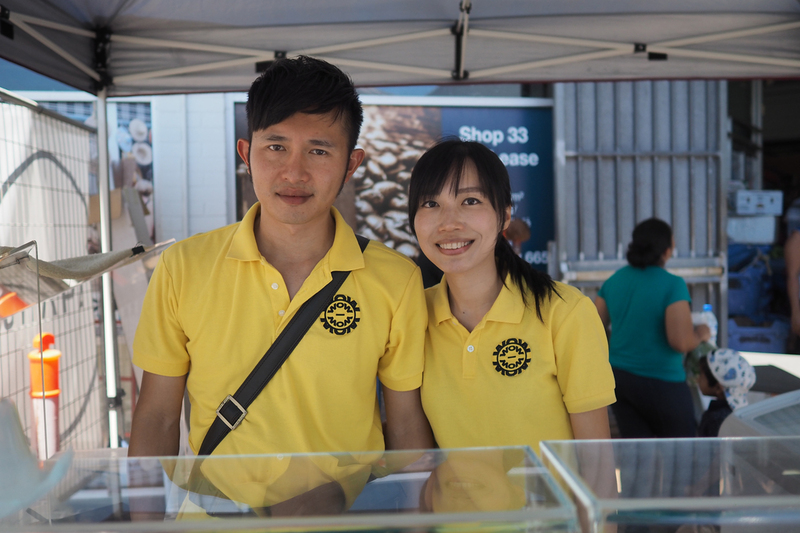 Find Wow Mom Taiwan at the Boutique Markets every first Friday of the month and at the Rapid Creek Markets every Sunday.